The Steins, Leo, Gertrude, Sarah and Michael were patrons not investors and in that regard, like their counterparts the lesser known Cone sisters from Baltimore, played an enormous role in the lives of the artists whose careers they cultivated. Cezanne was not a household name when Leo Stein purchased his first Cezanne from Vollard, Cezanne’s famed dealer (whose portrait hangs in the Cezanne and Paris show at the Musee du Luxembourg). 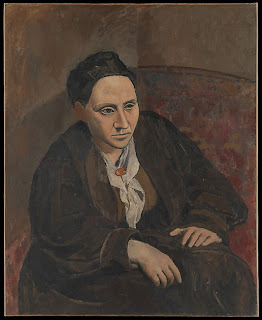 Everyone always points to the tremendous connection between Picasso and Gertrude Stein epitomized in Picasso’s iconic portrait of Stein from l906 now hanging in the Matisse, Cezanne, Picasso…the Steins Family at the Grand Palais, but from a cultural point of view it’s significant that an eccentric family of Americans, assimilated Jews of means, fostered the development of the early twentieth century modernism which became the calling card of French culture. The bust of Stein by Jacques Lipchitz from l920 and the portrait by Picabia from l937, which also appear in the show, exemplify Harold Bloom’s anxiety of influence as it applies to the plastic arts. 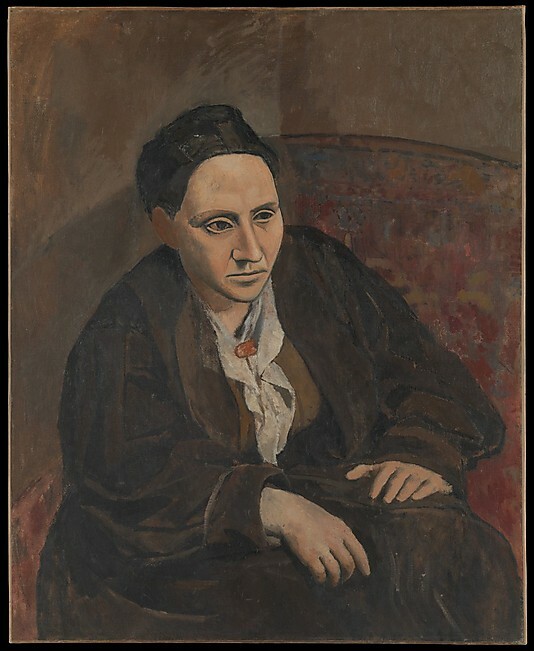 The little audio widget given at the Stein show also pointed out the debt the Picasso painting has to Ingres’ Portrait of Monsieur Bertin (1832) on exhibit in the Morgan Library in New York—which is another way of underlining the fact that this monumentally extensive show devoted to the Stein collection is really also a focal point for numerous historical and esthetic connections past and present. Gertrude had studied with William James at Radcliffe. Leo, who was himself the author of a book called The A-B-C of Aesthetics, had also been part of the circle that included Bernard Berenson and Roger Fry. Fry had offered the notion of “pure form,” as a way of understanding Cezanne’s revolutionary esthetic. Whether you go backwards in time towards Renoir who Leo would champion after Alice B. Toklas came to live with Gertrude at the Rue de Fleurus or forward to Gertrude turning her attention to Juan Gris and Picabia, two artists represented by another renowned dealer Daniel-Henri Kahnweiler, all roads seem to lead to the Stein family and the central role they played in the history of art, esthetics and thought.